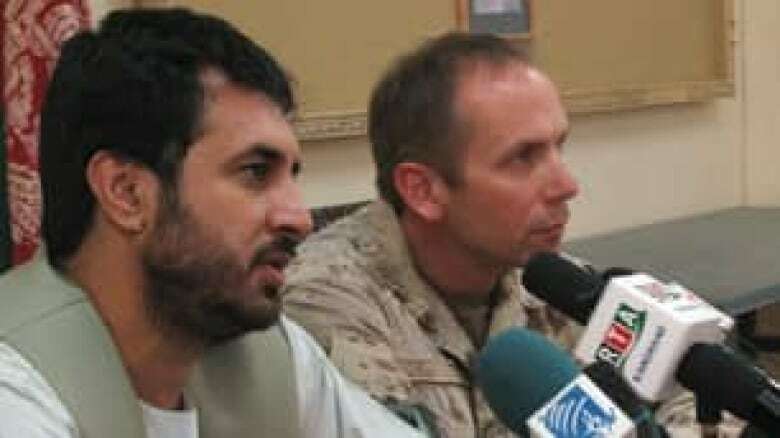 CBC News has obtained top-level government documents that reveal Canadian authorities were aware as early as spring 2007 that a governor of Kandahar praised by senior Canadian officials was also notorious for human rights abuses. The documents also reveal that Chris Alexander, a top Canadian official working with the United Nations, alleged that Asadullah Khalid had ordered the deaths of five United Nations workers in a bombing. Khalid served as governor of Kandahar province, where Canada's troops are stationed, from 2005 until he was replaced in mid-2008. It was widely suspected that the feared governor kept a private dungeon for prisoners under his palace. One internal Canadian document from the spring of 2007 states that "allegations of human rights abuses by the governor are numerous and consistent. "According to multiple sources, including the U.K. embassy, the private detention centre is located under the governor's guest house." Alexander, who at the time was the deputy UN special representative in Afghanistan, told Canadian officials that the UN's internal assessment of a recent deadly bombing of a UN vehicle in Kandahar concluded it was ordered by Khalid. A few months later, in the summer of 2007, Canadian officials noted that Alexander "suggested that attacks on internationals in Kandahar are increasingly being carried out by … narcotics interests, that have a stake in continued instability, rather than by insurgents." Alexander, a former Canadian ambassador to Afghanistan, is now a federal Conservative candidate in Ontario. CBC News made several attempts to contact Alexander for further comment regarding this story, but he has not responded. Despite the warnings that Canada's own ally in Afghanistan had killed UN workers, the Canadian government continued to work with Khalid. In August 2008, almost a year after the warnings, Maxime Bernier, Canada's foreign affairs minister at the time, caused a political stir during a trip to Afghanistan when he suggested Khalid should be removed. Although Bernier later clarified his comments, the diplomatic gaffe prompted opposition MPs to call for his resignation. Canada's Military Police Complaints Commission is set to hear this week from another key figure at the centre of the Afghan detainees affair — former top diplomat Richard Colvin. The civilian-run agency is investigating an allegation from two human rights groups that Canadian military police did not properly investigate officers responsible for directing the transfer of detainees to Afghan authorities. In testimony last November before the special parliamentary committee on the Afghanistan mission, Colvin alleged that all prisoners handed over by Canadian soldiers to Afghan authorities were likely subsequently abused and that government officials were well aware of the problem. Government and military officials, past and present, have vehemently denied Colvin's allegations.